I think it's only natural to do a bit of soul searching and a whole lot of reflection when tragedy and loss unexpectedly knock the wind out of you. Especially the kind of loss that has no rhyme or reason. 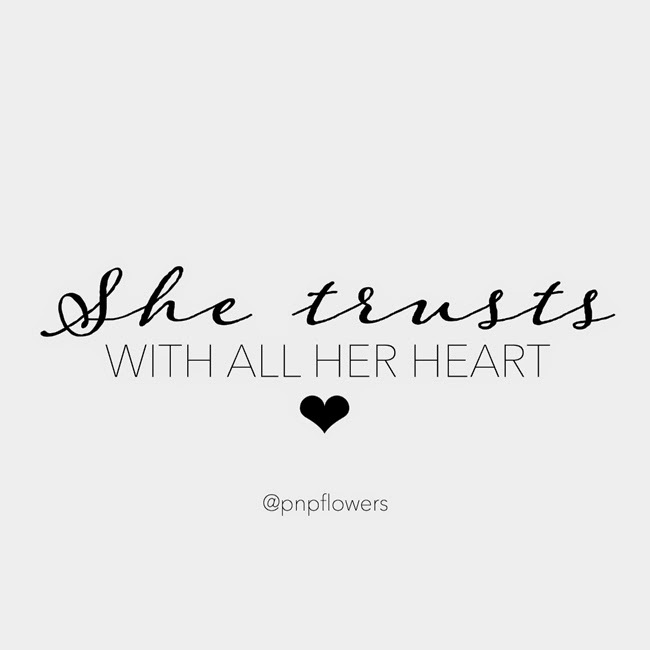 Since losing my cousin Holly in October, not only have I been doing all of that soul-searching and reflection stuff I mentioned, I've also been doing a whole lot of "trusting with all my heart" since there are really no answers for any of it. As a family…we are simply at a complete loss as to how any of this could have happened or why it happened. Instead of torturing myself with all of the "what-ifs", "whys" and waiting on answers that may never come...I've REALLY been trying to look at all that I have learned throughout this process. I've been hanging onto the beautiful things, beautiful moments and beautiful change this whole experience has brought to my life. With Thanksgiving Day tomorrow…knowing so many of us will be gathering together with our loved ones, friends and family members...I knew now is the perfect time to share with you the ways I've been inspired through having to say goodbye to Holly…yes…I said INSPIRED. some of these things I already knew and just needed to be reminded of. I felt inclined to share because I just know without a doubt there will be many of you who NEED and will need what I'm sharing today when emotion seems too thick to sort through anything else. So here's my list…mixed in with some of the Instagram quotes I've been creating to give visuals to the thoughts in my head and the things I have learned and re-learned. Everything seemed surreal walking into that funeral home. I'd had my game face on for the past two days…full-focused on finishing the slideshow and making sure the over-sized photos were prepared. I was carrying the posters in my hands and rounded the corner making eye contact with my aunt and uncle. It was all I could do not to buckle under the emotion I felt in each of their embraces. After a quick determination as to where to place the four posters and then handing off the flash drive with the slideshow on it to the funeral director…I waited for the rest of the family to show. The only escape from the heartache was the stressful distraction of technical difficulties of getting the slideshow to play. As soon as the kinks had been worked out and the photos and music started playing…the pain ensued. This time I was surrounded by a room full of people who looked just as confused and just as lost as I was feeling. Following the slideshow we all made our way into the room where Holly was. with great anticipation of when Maddie would arrive. For some of us…it had been years since we'd been able to see Maddie. We had no idea as to what to expect as far as her emotional state. 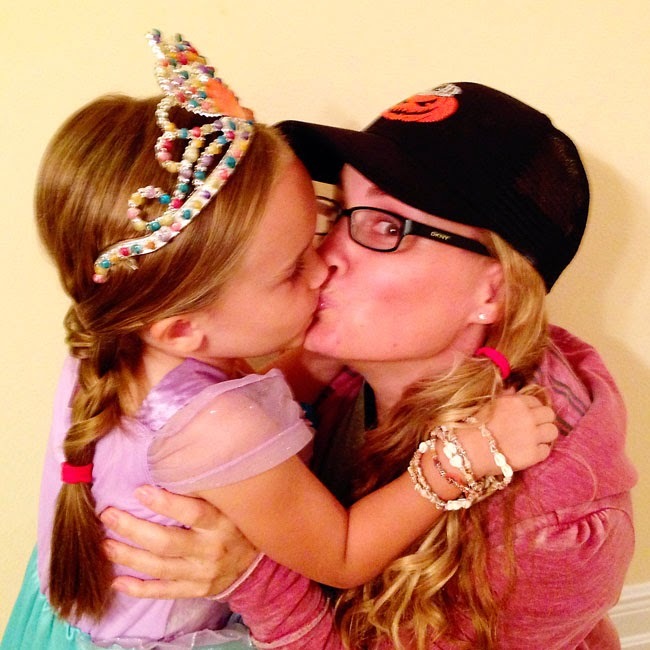 We weren't sure what she was grasping as an eight year old little girl who just lost her mom. She walked in and the room fell quiet. She was escorted to her seat with all eyes fixated on her in the same fashion as when a bride is walked down the aisle. She snuggled up to her grandparents, Holly's mom and dad, and then the service began. After some songs and an inspirational message by the pastor, we were encouraged to share something we remembered about Holly - a memory, a moment, something funny…anything. My uncle was the first to stand bravely before us sharing a funny story about his baby girl. He was followed by several of Holly's friends who also shared some touching, light-hearted stories. And then the unexpected happen. Maddie quickly shot up from her seat and made her way to the stand all by herself. At first we all thought she was getting up to hug one of Holly's best friends who was in tears and who was walking back to her seat after having stood and said some things about Holly. Maddie looked straight through Holly's friend, zeroed in on the microphone and made her way to the stand. She struggled to reach the mic so the pastor scooped her up in his arms and lifted her up so she could say what was on her heart. As soon as she began speaking the room lost all control of emotion. I remember sobs and sniffles coming from behind me in all directions as I struggled to hear what Maddie had to say about her mom. and how her mommy took such good care of her. She spoke with wounded courage…mustering up the last few sentences through trembling lips and fighting back tears. When she was finished she walked back to her grandparents and snuggled back into their arms and laps. Within minutes Maddie drifted off to sleep - overcome with raw emotion - and we were all forever changed by her strength. In the midst of heartache we were given a glimpse of hope through a single act of bravery - an unbelievable display of love for a mom by her eight year old daughter. The truth of the matter is that despite the heartache and loss a family is in the middle of dealing with…a funeral still needs to be planned. And there's A LOT of detail and decision-making that goes into making all of that happen….especially if you want it to truly honor the person and their life through the addition of personal touches the funeral home can't possibly add for you. These preparations can seem nearly impossible to work through when emotions are high. Regardless of the grief associated…a funeral is meant to be a celebration! 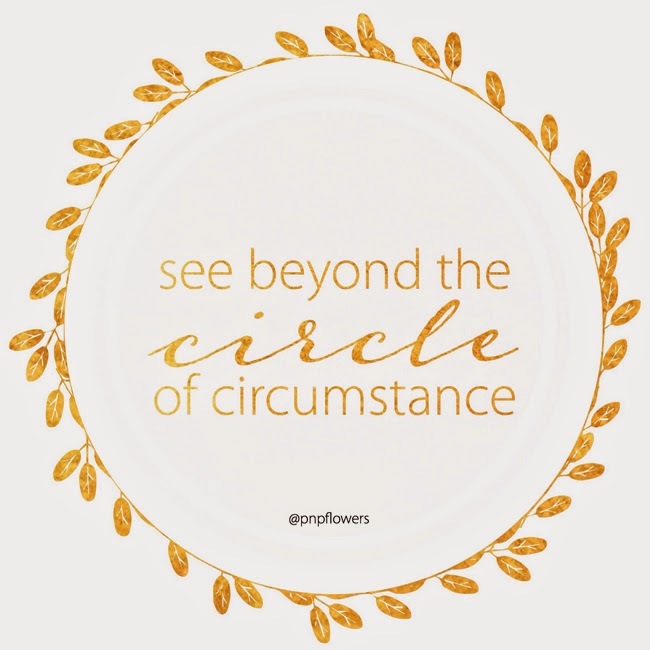 It's essential to find a way to "see beyond the circle of circumstance" and remember it's A LIFE celebration. 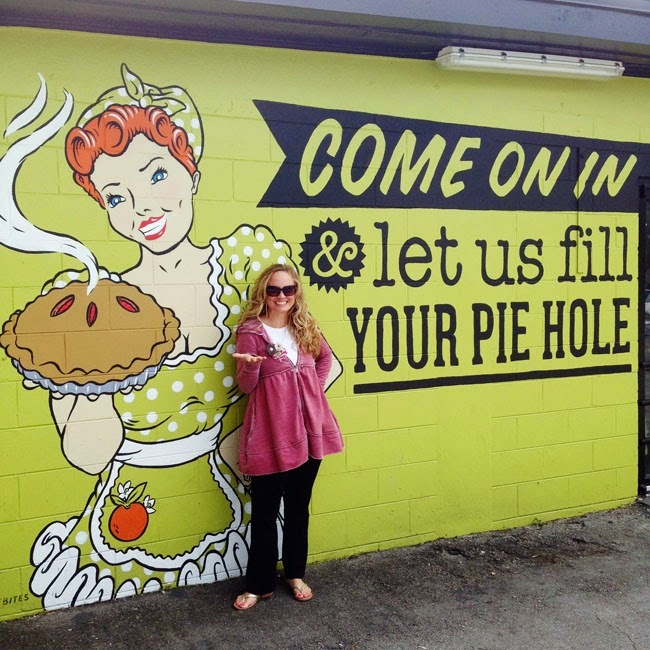 Not the kind of celebration I typically share here on the blog. There aren't balloons or tissue tassels. You won't find styled dessert tables or pretty invitations. And unlike the months of preparation you can choose to spend on a planning a birthday, anniversary or surprise party…funerals are associated with high-stress, last-minute planning. It's overwhelming, there's no joy in the preparation and it's a struggle to make happen. But it HAS to happen. So how do you do it? When our emotions are all over the place as we deal with grief, there is nothing more comforting than the help and love of family and friends. What's even more comforting though are the photos you can look back on. LOOKING through pictures helps conjure up feelings of connection. Pictures may not tell your entire story but they shed so much more light on the person you are, the person you were and the person you are becoming. Photos are really the only tangible thing we have left to hold onto once someone we love leaves us. Taking photos not only allows you to "Be wide awake to the love that surrounds you" while you are here on this earth…taking photos will make sure you have a visual story to leave behind when you leave it. I think we all know that already. Photographs are "frozen memories"...the "pause button" so-to-speak in our lives. They literally outsmart "time" by making it stand still for a second or two…and the best part is we can hold them in our hands and in our hearts forever. I had the privilege of preparing some photos to be put on display during the viewing and memorial service for Holly and I knew without a second thought that I would use the black and white photos I took of Holly a few years ago and print them as oversized posters. 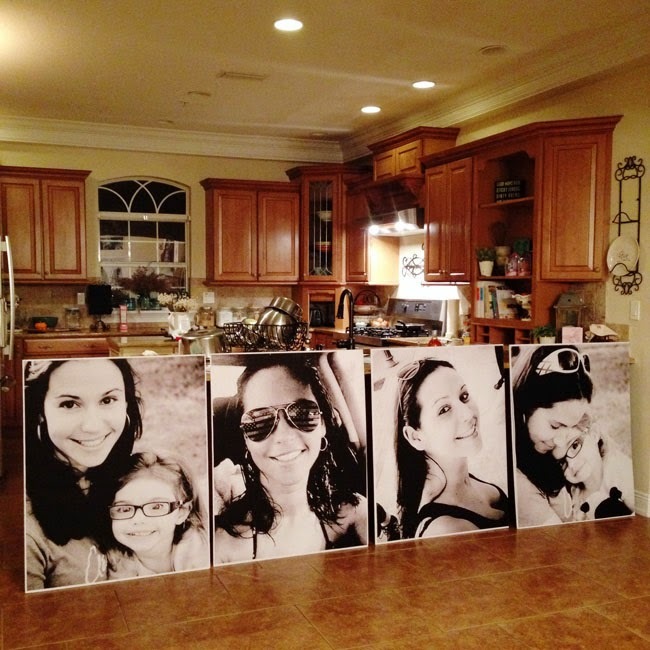 These are the 32x40 photos of Holly, (two with her daughter Maddie), that were put on easels and displayed during the service. I can't even begin to tell you the impact these giant sized images had on the overall feel of the room. They truly made the service so much more personal and added a warmth that would've been impossible to feel otherwise. I had them printed at Office Depot for under $5 each and used double-stick tape to secure them to individual pieces of 32x40 foam board ($5 each) from Hobby Lobby. Black and white printing is very affordable and very worth it. I was also asked to put together a slideshow of photos and music to be played in the sitting area at the funeral home. Although I felt a tremendous amount of pressure and stress on my shoulders having to put this together in under two days, I was so grateful to have been able to do it. Not only did going through all of the photos prove to be a great tool in the healing process for myself, (tears through much of the preparation), it was undoubtedly comforting and healing to Holly's immediate family as well as everyone that attended the funeral service too. I learned very quickly as the emails of photos poured into my inbox from Holly's sister and Holly's sister-in-law that Holly was a "Queen of Selfies". She had 100's upon 100's of photos of just herself…her + her friends…her + her co-workers…her + her nephews and soooo many with just her and her daughter, Maddie. I, personally, never takes selfies so I was surprised by the impact they had on me…caught off guard actually because I had a completely different opinion of them prior to this. Holly's selfies changed all that for me. I realize now I've been looking at it all wrong. Selfies, done right, can actually allow you to tell your story from YOUR perspective. Holly photographed the things that were important to her…the people that were important to her…and the moments that were important to her…WITH HER IN THEM!! 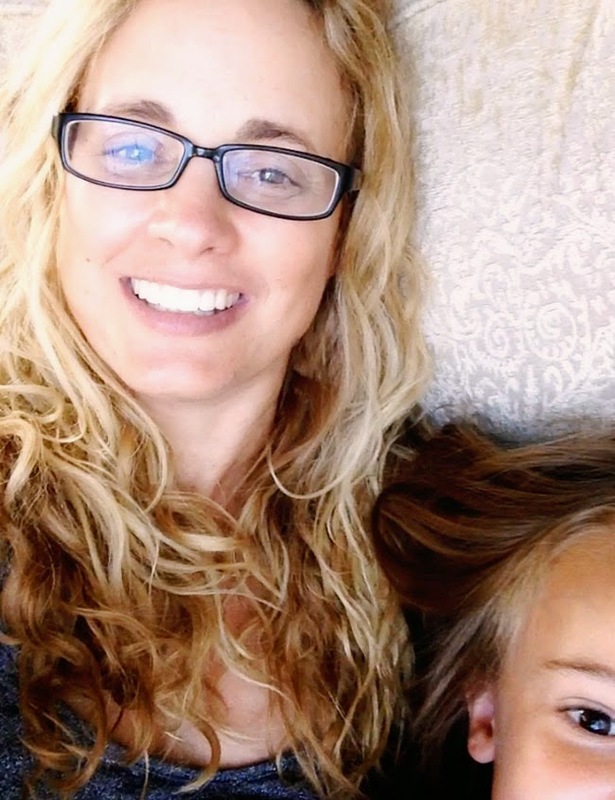 Holly's selfies taught me just how much she loved people, how much she was head over heels in love with her daughter Maddie, that she loved being at the beach, that she cherished moments spending time with her nephews, and that Holly absolutely lived in the moment…and sometimes FOR the moment. She was fully present for her life. 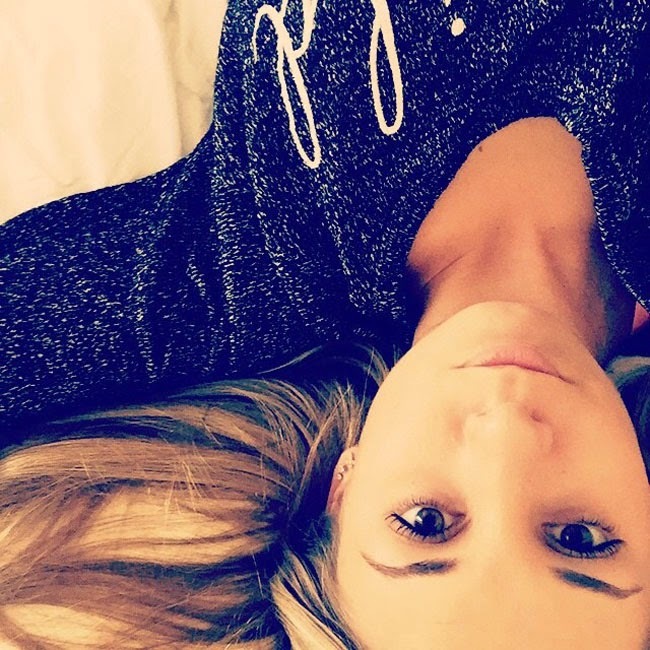 It radiated through her eyes in every picture…in every selfie. 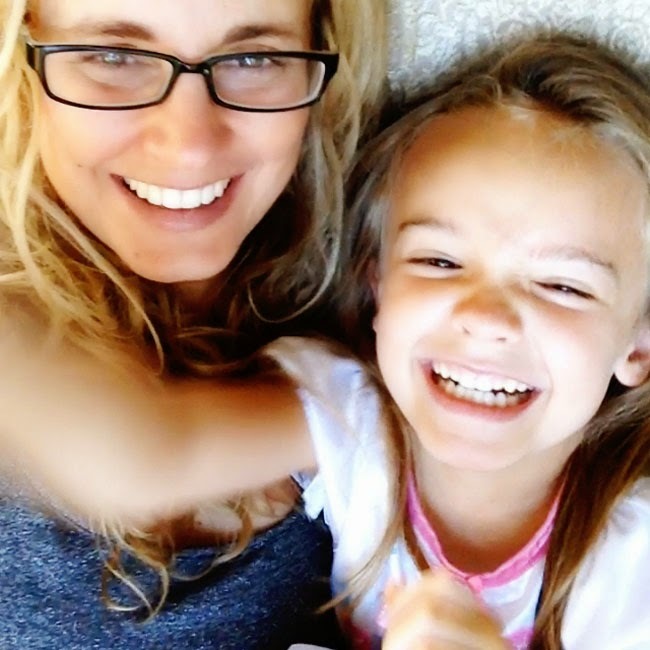 Her selfies are a gift to us…and I want to be able to pass the "selfie gift" along to my own children and family too. Sooo…thanks to Holly…I've committed to coming out of my shell with regards to selfies. I'm trying to get over the awkwardness I feel when taking them and I'm not even saying I'll ever post them on social media. But I WILL have them on my phone and computer for my family to see. For now…my selfies include other people - not just myself. But I'm really happy with the ones I've been taking. I'm amazed at how much I love these photos with Ella from a morning we'd both just woken up, probably still had sleep in our eyes and stinky breath too! We were snuggling, being silly and laughing which is my favorite place to be in the world. I'm so happy I chose to "push the pause button"! I was also reminded by Holly's posters, slideshow and selfies of how important it is to get in FRONT of the camera. I'm always hiding behind the camera or avoiding the person walking around with one. I never want my picture taken but I'm realizing more and more that it's actually selfish to choose not be in the picture. Whether or not I like the way my hair looks, like the outfit I have on or love the lighting…I've got to make more of an effort to make sure I'm in more photos because these photos will be a gift for my family one day! A lot of Holly's selfies were of her in her car - with her daughter, with her sister, with her nephews or just by herself. She took photos of the everyday, ordinary moments we don't necessarily think are "special". It got me thinking about the fact that I think we "sparkle" when we are in these moments because we are in our element. These mundane, "in-between" moments are really the crux of the beautiful life we're creating. 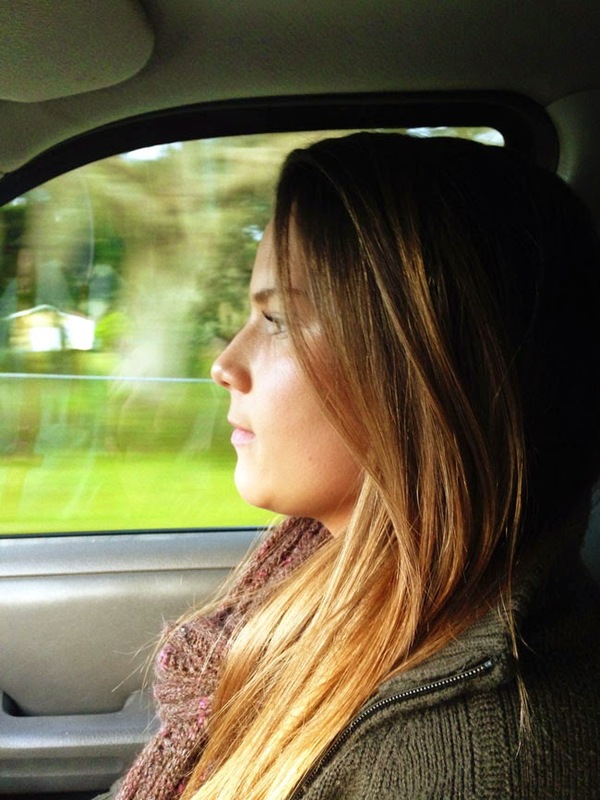 I LOVE that it captures Ema from MY perspective…what I see every morning as her mother, driving to school together. Truth be told, sometimes we are talking…sometimes we are quiet because she's mad at me…and sometimes we are listening to some good music. Regardless…she's always sitting next to me…always looking pretty and I wanted to record that. And then there are the everyday car rides with Ella. 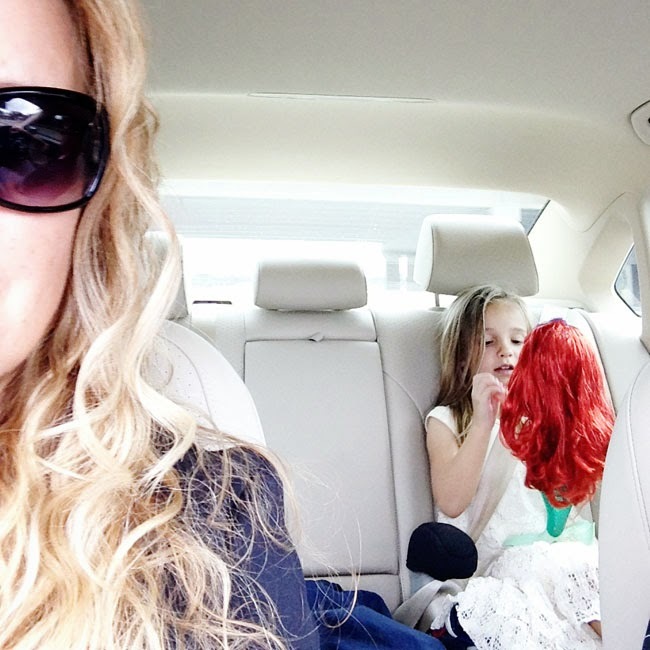 She's always in the backseat…with some sort of stuffed animal, doll, or iPad in hand to keep her company. We won't remember much about the everyday details of our lives unless we record them now. And I promise you…you will cherish photos like this down the road far more than you might think. After seeing the beautiful posters I had made of Holly I was truly inspired and want to have some poster size prints of my girls hanging in our house now. UPDATED December 10th 2015: I made this happen! Even more than that…it got me thinking about the fact that I don't really have any photos in my house of extended family. 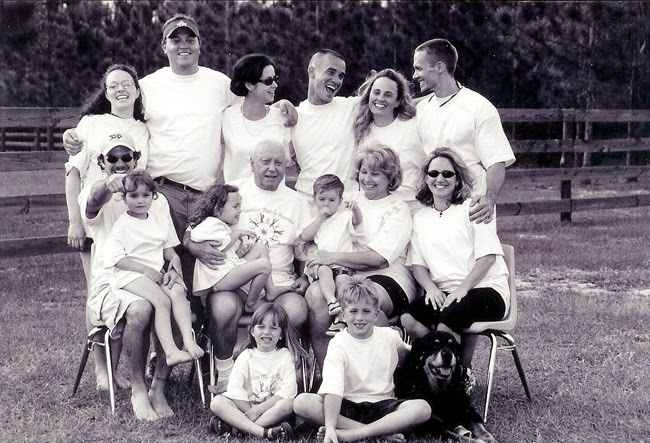 Which got me thinking about this "cousins" photo from our very first family reunion in 2001. I had this photo printed years ago with the intention of hanging it or displaying it somewhere in the house. That never happened. Losing Holly has fueled the fire for me to make sure this photo (and so many others) are hanging or displayed in some fashion in my home. It's a beautiful way to stay connected to the ones we love that have passed. By the way…that cute bald guy in the middle is my grandfather…my hero. And Holly…she's standing smack dab in the middle of the back row. I have a love-hate relationship with social media. I think we all do. We love being connected with people - especially people we wouldn't otherwise know. And yet…we can easily find ourselves disconnecting from those who matter most in our pursuit of connecting with those who matter least. So what does this have to do with Holly and what I've learned? 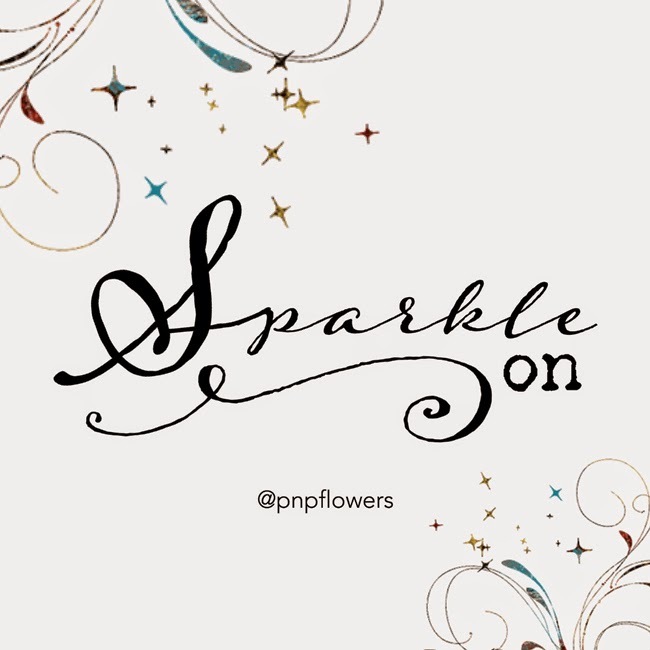 The only reason I even HAVE a personal Facebook page is so I could create my Pen N' Paper Flowers business page a few years ago. I don't post much to it nor do I have time to sit and play virtual games I see so many others doing. (sending stickers or candy or whatever it is people are sending each other). With that said…I found myself extremely grateful for Facebook when we lost Holly. There was an outpouring of messages and love for her left on her page - left by friends and family after the news spread. Holly was also great about posting photos there, so as a family, we were able to pull pictures for the slideshow. It became a "hub of healing" for so many people. Friends and family were able to connect in a way that would have been absolutely impossible any other way. This has now inspired me to make a little more effort when it comes to interacting with my family on Facebook. I still don't necessarily post to my personal page but I at least take time to acknowledge posts by family members when I'm on there - which is a step in the right direction. I LOVE Instagram. It really seems to be a community of people simply looking to inspire each other. Would you believe I even found one of Holly's friends simply by searching for associated hashtags when Holly passed away. That was SO crazy - and so cool at the same time. Another crazy cool thing about Instagram is that it allows me to still have access to selfies I can't logistically take with my oldest daughter, Clara. As an eighteen year old, she's got a busy schedule with work and college and an expanding social calendar. That's where Instagram comes in. I've found many treasured "selfie" photos recently on Clara's Instagram feed that I absolutely love. In fact, I stole some to share with you for today's post. Ha!! BONUS!! There are even seflies of Clara and Ema together!! So yes…if you are searching for more photos of your family, I'm encouraging you to stalk the IG feeds of your loved ones! I'm certain you'll find photos you love that you wouldn't normally have ever seen. When I was asked to make Holly's slideshow, I was also sent a list of 26 songs to include. As I looked at the list of songs and listened to the music, I wondered to myself if these were actually Holly's favorite songs or if these were songs picked by her family that reminded them of Holly. I still don't really know the answers because I have no idea what kind of music Holly listened to. It got me thinking about MY own favorite songs. Would anyone even know what my favorite songs are? How about you? Would anyone know what YOUR favorite songs are? or maybe they'd THINK they know. I don't know about you but I want my friends and family to get it right. and I really want my favorite songs playing on the slideshow they make for me! Ha!! So...I've decided to actually start an ongoing list of my favorites. I will eventually create a "Jessica's Favorites" on iTunes too. In order to personalize a celebration for someone, (funeral or otherwise), it REALLY helps to know what their favorites are!! 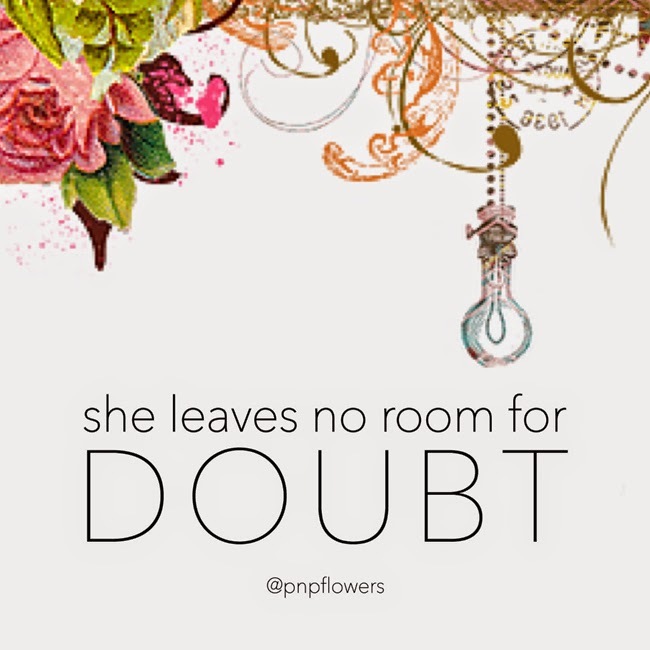 "Leave no room for doubt" about their favorite colors, songs, photos, flowers, food, outfit, jewelry, etc. Don't wait. Ask them NOW!! FIND OUT NOW! 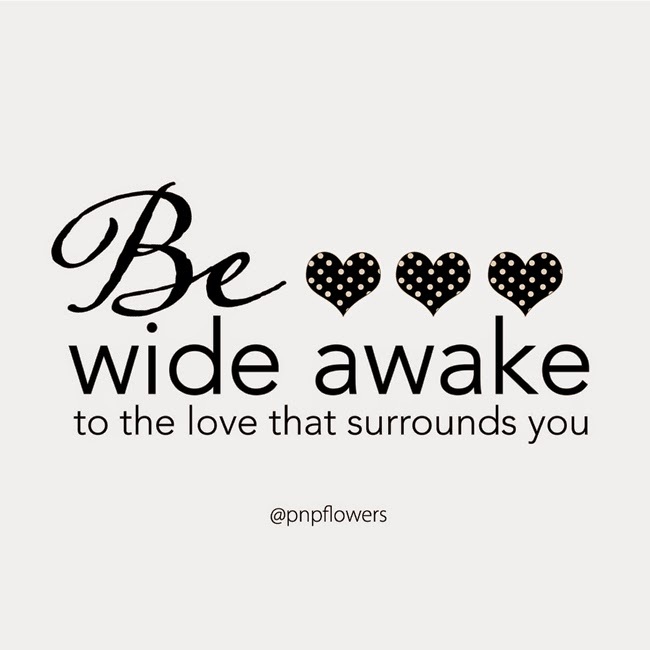 Take the time NOW to know more about the people you love. Write it down if you must. (I know I will have to). Take the guesswork out of all of it by finding out NOW. You'll thank me later!! family should be first. I've known this. I've felt it before. But I definitely needed reminding. I watched all of us rally around each other as we gathered for Holly's funeral. Some came from as far away as Utah. Others drove down from North and South Carolina. The majority of us were able to gather together to cry…to remember…to hug…to share…to lift each other…to listen and most importantly…to experience some sort of healing. 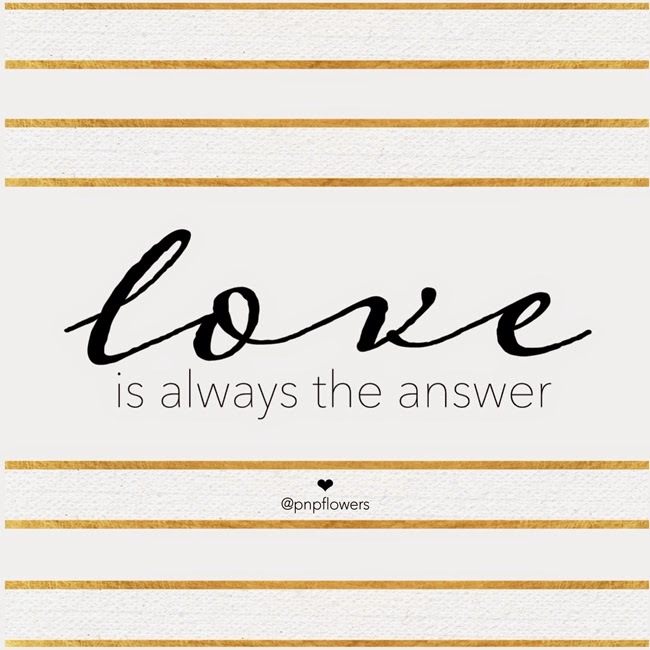 Family is love and "love is always the answer"
As a family…we love each other. 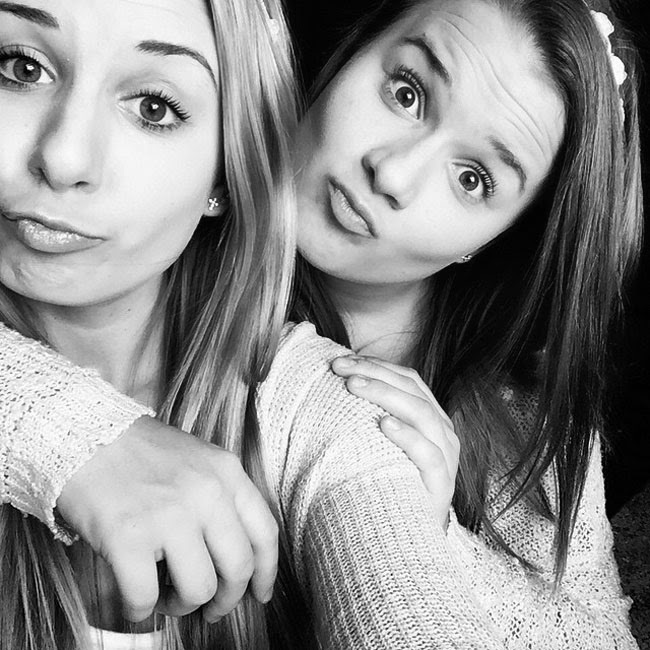 And we love each other hard. as different as night and day but eternally connected through the moon and stars - my grandparents. We have a beautiful family with strong ties - thanks to them. They set the bar high when it came to marriage, relationships, devotion, dedication, love, service, sacrifice, family and the amazing "gift of gathering" they were examples of. and yet I know my heart will be full. Full of love for my family. and fully trusting in God's plan - not my own. and then don't forget to HANG UP or DISPLAY the photos afterwards. I apologize for how long this post ended up being. I really wanted it to be short and sweet. I even tried re-writing and eliminating some things to shorten it. Just beautiful thank you for sharing and refueling the fire in me to get my family photo gallery up that I have been meaning to do for far too long now. Beautiful reminders. Thank you. Each day is truly a gift and the family and loved ones in them are so precious. Jessica this post is very inspiring. It is beautiful! I hope you and your family had a wonderful Thanksgiving. So many great lessons Jessica. Thank you for sharing. The tears were flowing.